TOPP KIDS Out of School Clubs and others in Calgary are committed to promoting play, providing play opportunities, and educating all Calgarians on the importance of play to our community. 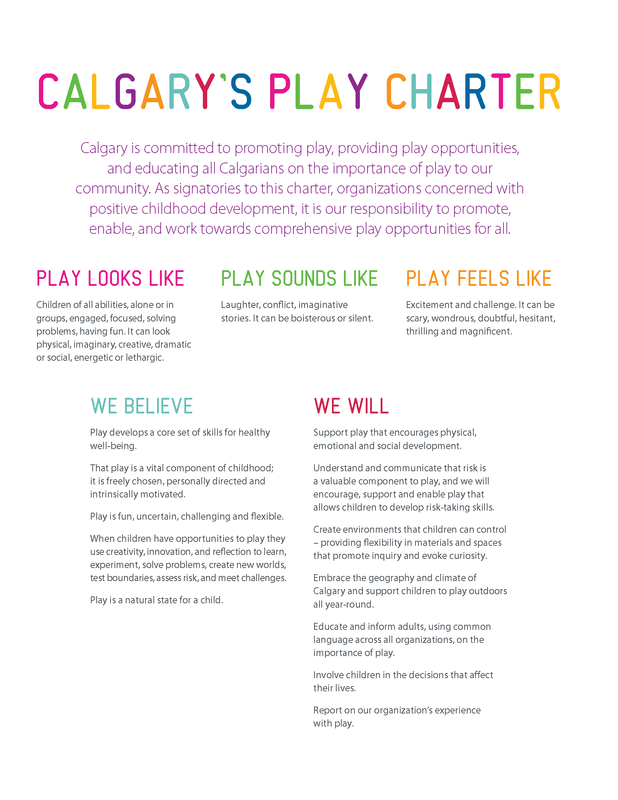 As signatories to this charter, organizations concerned with positive childhood development, it is our responsibility to promote, enable, and work towards comprehensive play opportunities for all. WE BELIEVE Play develops a core set of skills for healthy well-being. That play is a vital component of childhood; it is freely chosen, personally directed and intrinsically motivated. Play is fun, uncertain, challenging and flexible. 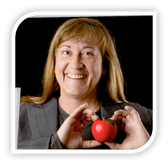 When children have opportunities to play they use creativity, innovation, and reflection to learn, experiment, solve problems, create new worlds, test boundaries, assess risk, and meet challenges. Play is a natural state for a child. WE WILL Support play that encourages physical, emotional and social development. Understand and communicate that risk is a valuable component to play, and we will encourage, support and enable play that allows children to develop risk-taking skills. Create environments that children can control – providing flexibility in materials and spaces that promote inquiry and evoke curiosity. Embrace the geography and climate of Calgary and support children to play outdoors all year-round. Educate and inform adults, using common language across all organizations, on the importance of play. Involve children in the decisions that affect their lives. Report on our organization’s experience with play.